Pineville, the seat of Bell county, is located on the Cumberland River where it cuts through Pine Mountain. It was settled in 1781 as Cumberland Ford and a post office by that name opened in 1818. 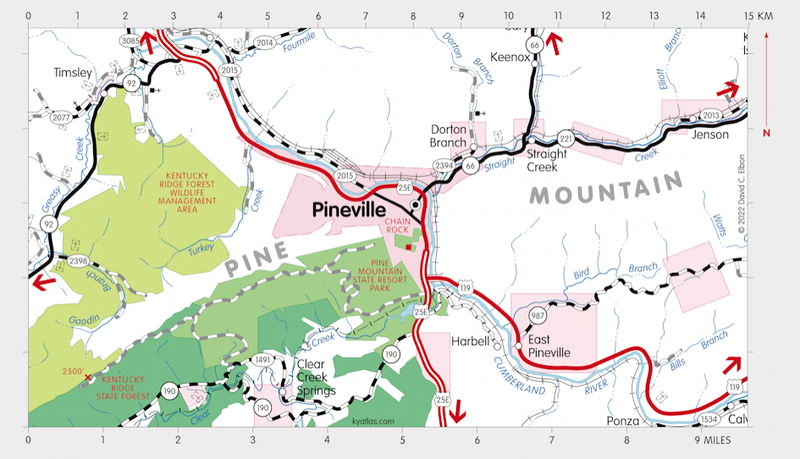 The name Pineville was also in use at an early time and was used when the town was laid out as the seat of the new county in 1867. Pineville was incorporated in 1873. The post office was renamed in 1870. The population in 2010 was 1,732. The Bell County Courthouse in Pineville was built in 1919. 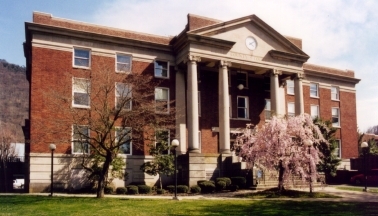 Pineville is the home of a campus of Southeast Kentucky Community and Technical College. The Pineville campus began as the Pineville School for Practical Nurses.